Get Unbeatable Discounts on Pet Supplies @ CanadaVetExpress This Easter! 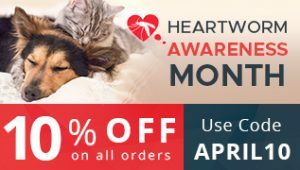 Canada Vet Express on this festive occasion of Easter provides an additional 12% off on hundreds of products already discounted on the online pet store. There are some great deals that can lead to interesting purchases for your pet. On top of it, the online store offers free shipping on all orders irrespective of the size of your order. (This is an additional bonus for pet parents.) The dispatch is usually done within a day for all orders, except when the order is placed on a holidays. This is a fantastic opportunity to stock up your pet’s favorite food, treats, and toys. Buy them as a special gift for Easter. Bravecto is one of its kinds of chew that kills fleas and ticks found in dogs for 12 continuous weeks. This oral flea and tick treatment starts action within 2 hours of administration and kills 99% adult fleas within 8 hours and 100% ticks within 12 hours. Get this product today!! Essential 6 is a spot-on treatment for providing nutrition to skin and coat of cats. It prevents skin irritation, seasonal hair loss, skin damage by supplying major nutrients for healthy skin and coat of cats. Well, these are some of the best buys with huge discount rates that you can stock up this festive. Click here to visit our Coupon Code page and get your pet supplies at unbeatable prices. We love your pet with gentle, loving care as much as you do. So, shop our selection for pet supplies your furry friends will love. How To Give Your Cat A Worming Pill?